The Professor dedicated his whole life to science, experimenting, and working on the super drug that would change the fate of mankind! Until one day coming back to his lab he discoveredthat his entire strain of experiments had been infected by germs! His life works destroyed just like that! Unless… the Professor locked himself up working tirelessly day and night for months and succeeded in creating Germinator to “Get the Germs”, injected him in the petri dish … and the hunting begun! 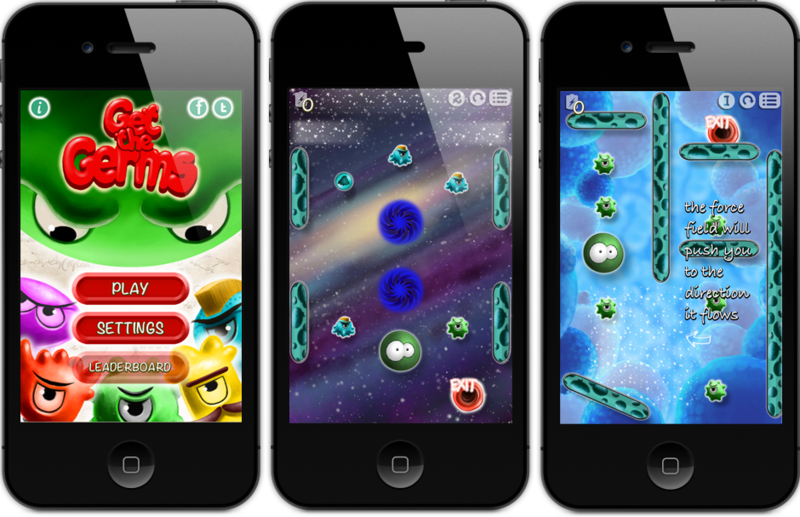 With more than 100 levels, and free updates on the way, you have hours of stretching, bouncing, germ getting fun set out! So get started … “Get the Germs”, save mankind! Free update with new levels on the way! Battery Pack will give you more stretching powers to get through those tough levels.